Gal-EX - Spatial Delivery Game - Download and Play Free Version! Collect the packages and survive the intergalactic delivery! 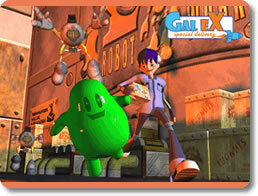 Gal-Ex: Spatial Delivery is a visually rich, story driven action/adventure game with platform and puzzle elements. 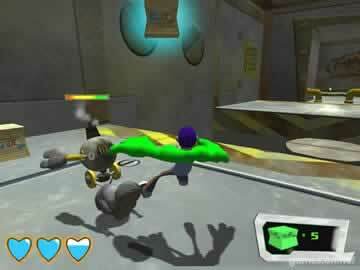 The two main characters are Jake and Goup. Jake is a package delivery boy for the Galactic Express Courier Company. Goup is a living gelatinous blob who can take many forms. Jake's ship has crashed on a mysterious planet, scattering his cargo everywhere. 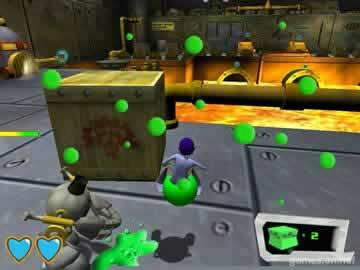 The Players goal is to use Jake and Goup to collect the packages from the ship and to make it possible for Jake to escape from this dangerous planet.